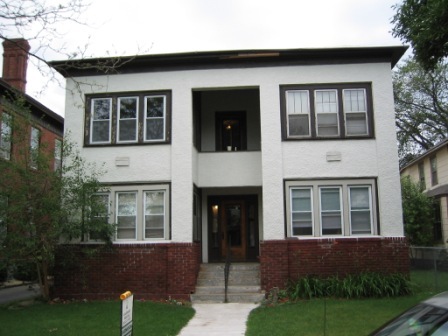 Prospective Rental Property Owners - Duplex to Quad 4 Units | Urban Enterprises, Inc. and UrbanRent.com | Twin Cities Rental Property Management | Minneapolis Rental Property Management, St. Paul Rental Property Management, Minnesota Rental Property Mana - Urban Enterprises Inc. Whether this property is your first duplex or if you are an experienced multi-unit owner, Urban Enterprises Inc. can assist you with all your real estate needs. We only manage apartments in the Twin Cities. We are different from the competition. To them, your apartment is a rental property. To us, it is an investment property. We care for it with years of planning, research, and execution. We take a different approach because we have been providing Property Management services since 1998.
that... we can even walk through with our contractor team and point out fixes that would get you higher rental income- more money in your pocket. rehabbed many properties. We aren't salespeople; we are real estate brokers and investment advisers. We don't do radio ads or pay for sponsoring from local celebrities. We are different. We do preventative maintenance not repair maintenance. We assess the property and plan from there. This isn't our first rodeo and we assure you it won't feel like it's yours. No Startup Costs - No Hidden Fees - Easy and Straightforward Rates - IN HOUSE maintenance team at Half the Rate of Other Companies - Our goal is to be the "No Headaches" company in the Twin Cities. If there is a problem, we deal with it. Urban Enterprises Inc. is the premiere full-service property management company, located in Minneapolis. You can come to our office at any time. We have years of experience in Real Estate Services and Property Management. We are committed to enhancing asset value and providing our clients with the information they need to fully maximize the financial potential of their rental properties. Don't be fooled by multiple office companies when there is simply one agent working from home in those locations. Free Marketing of your available rental through our advertising network! Free Rent Collection with Direct Deposit! We have the best website in the business. Review and compare. We advertise on only the most effective websites. We have a proprietary mix of paid and non-paid websites on which we advertise each and every home. Every property. 95% of tenants come from the top 20. Nobody searches the 6th page of Google for the 56th website. We don't just throw it out into the market. We strategically review and post your home. You know what works. We hand-craft well written ads. Half of the battle with landing a potential tenant on your posting is the keywords and property description. We take the time to review your property compared to the next one on the market and point out differences why a tenant should choose yours! We are a mid size, local company. We are experts in this area and the immediate surrounding areas. We don't take on agents who don't know this area nor do we branch out to areas we are unfamiliar with. We are a high performing boutique property manager in the Twin Cities. We have the simplest fees. No setup, no trip charges, no markups on repairs, no initial fees, no renewal fees, etc. We have the most straightforward fee structure because we don’t have time to charge hidden fees. We are honest, hardworking, and dependable. We have real reviews from very happy customers. We offer simple pricing options for duplex and multi-unit property owners looking to rent their properties. There's a simple calculator below that will help you determine which option is best for you and provide you insight as to what you can expect for your first year and second year costs. Please note, the calculator below is for providing estimated service pricing only. Please contact us for details on obtaining a formal quote. Evaluate your property to determine the rental potential. Provide property recommendations to enhance your potential and meet city code and rental requirements. Aide/Assist in the Rental Licensing and inspection process. Vendor discounts and a low cost on-staff maintenance team. Promote your rental through our site listings, advertising and optional MLS. Offering your property to our ever growing list of potential renters from our vast contacts with tenants. Take calls from potential tenants providing one on one marketing of your property. (verify; income, credit check, rentals history, criminal records and eviction history). Sign lease with tenants and collect security deposit. Collect monthly rent via check, auto withdrawal and online or phone Credit/Debit card payments. File legal actions against any tenant delinquency and manage any evictions and lease enforcement. Receive and manage any tenant calls with a 24/7 on call service. Arrange or coordinate any maintenance work. Provide monthly rental income payments and financial statements to owner. Advise you if you decide to sell your property or to purchase others.